Our practice’s size allows us to offer personalized, high-quality, professional services that are tailored to your needs. We strongly believe that everyone should be able to have access to quality legal advice, which is why we also accept legal aid mandates on top of adapting our services to your needs. In order to receive a legal aid mandate, you must contact us first. We shall then make an appointment at the Legal Aid Office in immigration for you! For clients located outside of Montreal, please note that our firm offers consultations through Skype or written legal notices instead of the face-to-face conventional consultation at our offices. 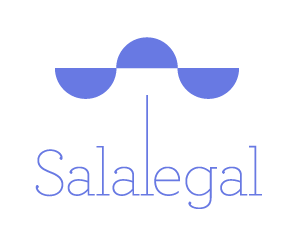 During the consultation, Maître Blandine Sala, the founding lawyer of Salalegal, will ask you about your academic, professional and immigration background and will inform you of the different possibilities of immigrating, whether temporarily or permanently, to Canada. The lawyer’s mission is to understand your goals and the delicate aspects of certain situations. After this consultation, you will have a clearer picture of the immigration options available to you. * Our firm also offers a free telephone consultation service for employers who would like to hire foreign workers. To learn more about this service, please refer to the section on work permits and contact us. based on your needs and your preferences. We represent you before the IRB, IAD, RPD, RAD. We will carry out the monthly follow-ups. We represent you before the court.